This location is clean, conveniently located and on top of that a bargain. Tsurugaoka train station is a 2 minute walk away providing easy access to the rest of the city. There are large immaculate bathrooms for men and women, a large full service kitchen, WiFi networks for each floor, lockers for anything you want to stash and the cubbies for the beds provide enough privacy that you can get away if you don't feel like hanging out with the other occupants. I was worried about going to Japan for the first time, but I used it very well. Location is not not extremely good, but it is near Nishi-Tanabe Station of Midosuji Line. I used the dorm for the first time, but the bed and bedding were comfortable. Most of all, the bathrooms were really clean and well used. Shower balls, water cups, towels, rinses and toothpaste must be purchased separately. It took us way to long to find the place. When we searched the place google maps sent us to a park instead of the hostel. We went down some streets and finally found the place. Once we got there we were happy. For a really cheap hostel it was great. The staff was super nice. The common room was great and the other travellers chilling in that room even better. My friend and I are Jewish and keep kosher so having a good kitchen in the building was a life saver!! We made ourselves a really good kosher meal and even ate with some of the other fellow backpackers. 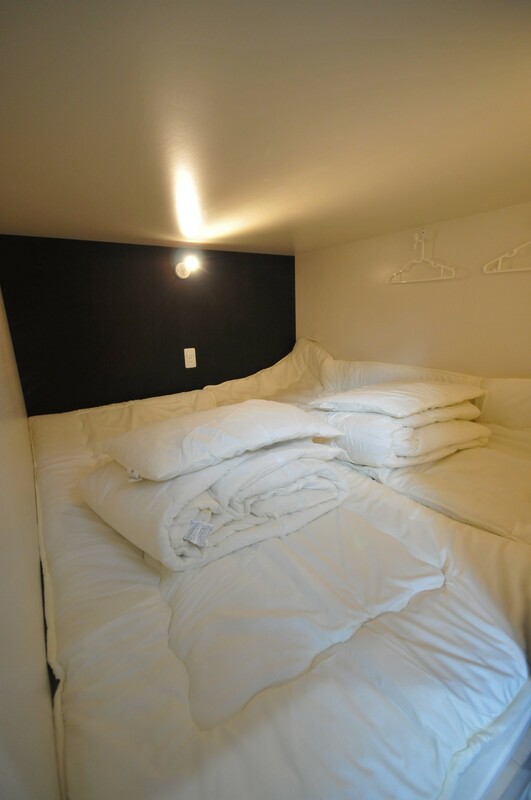 If you are super super claustrophobic these sleeping arrangements are not for you. With that being said, I am claustrophobic and I was fine in the bed-room. The sleeping room was pretty cool. Imagine a long hallway and on the wall there are ladders next to curtains covering small windows. The "windows" are the doors to your "room". You have to make your own bed and strip it once you're done. In a way I liked that. Highly recommend! the staff were so nice! i love them! location is great. near to train station. near to 7/11. 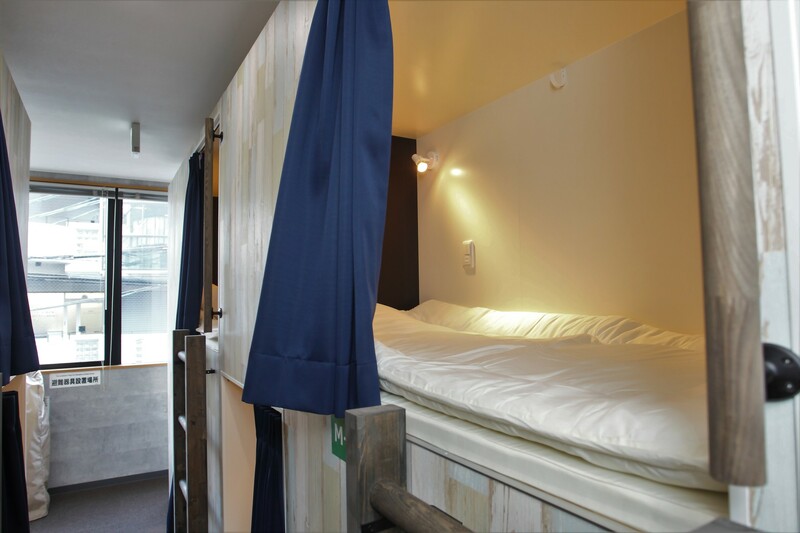 the only thing i don't like in this backpacker capsule hotel is the centralized air condition and some of the travellers will turn off the aircon which makes the room very hot. location is good. the hotel is clean. i love the common area. Thank you for your stay. It would be nice if you could feel free to voice when you were a bit hot or cold in air conditioning. Please do come by all means because I like shared parts. Thank you very much. I initially was only going to stay here for two nights but subsequently extended my stay by two nights. The location was excellent - only a 3 minute walk from the subway station (which is JR so I used my japan rail pass to get there for free) and the hostel is also opposite a seven eleven. The beds are great you get a good privacy with the privacy curtains. And lockers were big enough to store my day rucksack which made me feel safe.The staff were great too! Thank you for your stay. Initially it is nice to feel that it was comfortable that the schedule for two nights had already been extended for two nights. Please come and visit Japan again. We are waiting for all the staff. Couples capsules were very spacious, I liked the location near the 100 yen sushi train and train station is short walk but need to connect with other stations to get to places so a little inconvenient but not too bad. Location is also near supermarket. Very very clean hostel but not crowded during time I went. Receptionist named Clement is very friendly and helpful. Went to Osaka for an event in Yanmar stadium, so this was the perfect place for me, very near Yanmar stadium and JR Tsurugaoka station. Had a good night's rest as well. Provided locker for your valuables, a common area/kitchen. valuable place with a great hospitality from the owner. If you came before 15.00, you'll meet another lady that can't speak english well but still be very helpful (thanks to the translator apps). We can put our luggages before check in. But the owner speaks fluent english. She explained very well about the facilities. We stayed at Gate80 for 2 nights. 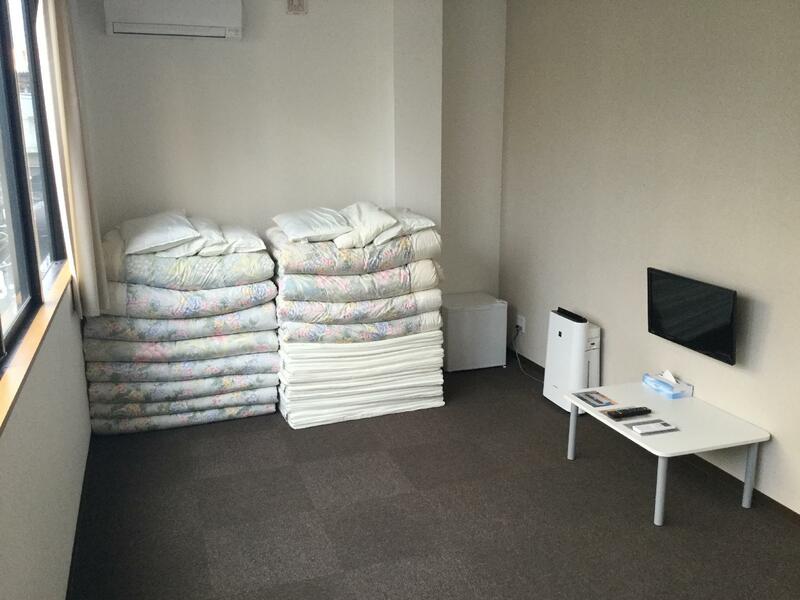 It's near the tsurugaoka station (only 2 minutes walk! and there's a mini market at the station.) and about 5 minutes walk to nishitanabe station (but make sure you know which station you need to enter. Different direction will need diferent entrance. To Namba, you should walk accross the street first.) 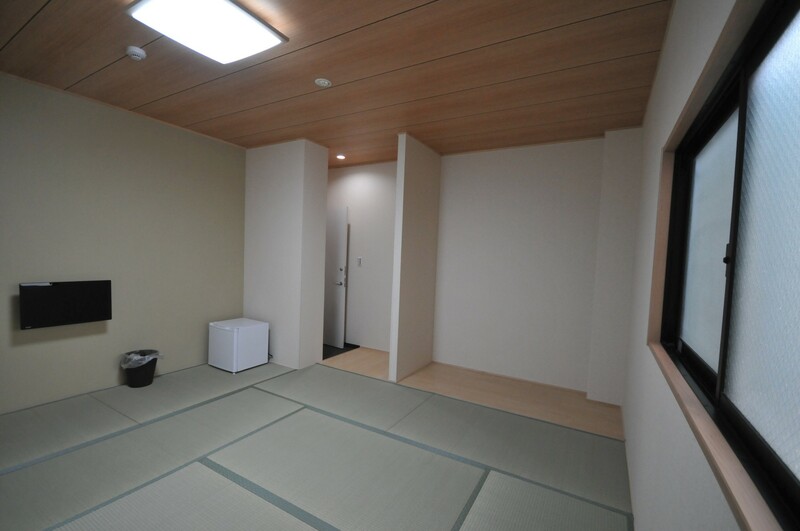 The shower room and toilet in Gate80 is very clean. In the ladies shower room there are 4 shower room. They also have a hairdryer. We stayed at the double bed at the mix dormitory. We found it still comfortable for 2 people. The storage corner is kinda small, but we manage to safe what we need in our locker (so we won't need to open our luggage very often). 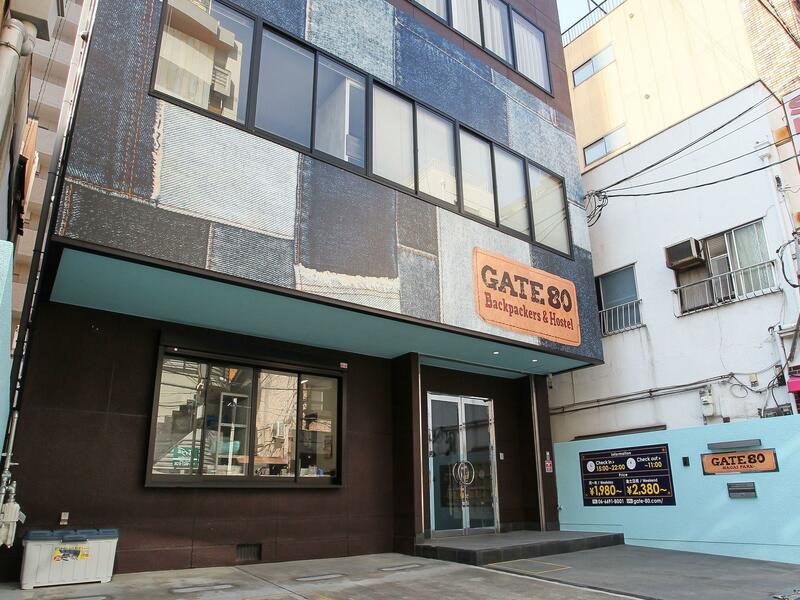 We'll surely come back to stay at gate80 if we come to Osaka again (and we really hope soon). Accommodation, Thank you for a wonderful review. I am sorry it will be late to reply. If you come to Osaka again please come to Gate 80. The inn is very very clean.I love there.And it is close to the JR station and subway.There is a supermarket not far from there. Everything is good. We love everything about this place. It is spotless. Wi-fi is good. The couples' capsule is spacious, as well as the restrooms. 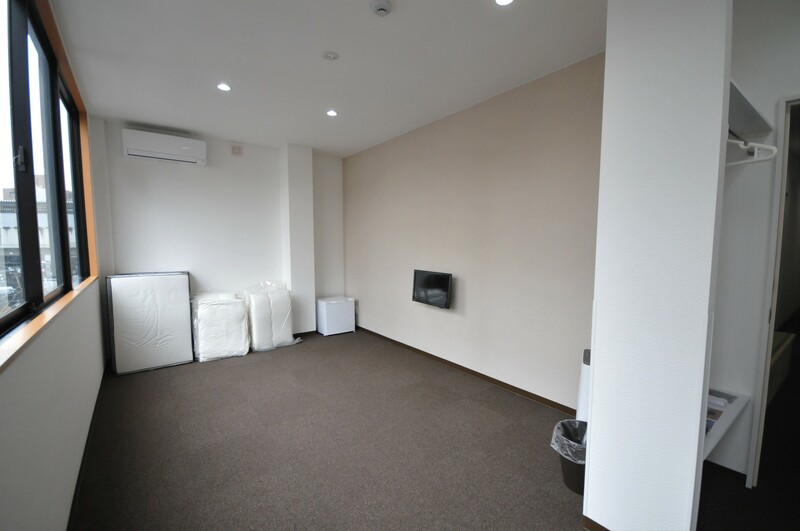 Common area is also large, has a TV, table tennis, and a comfy sofa. Kitchen is also well-equipped. Though there is a 7-11 nearby, the hostel also has a vendo machine for drinks. There is also a 100-yen sushi train within walking distance (too bad, we discovered this on our last day). Very near the JR Tsurugaoka station. Though it is around 20 mins from the osaka station and sometimes the train going to Tsurugaoka station is few and far between especially at night, it was still favorable to us since we maximized our JR Pass. Only setback, i guess, is that we were the ones who need to change the sheets. So as much as we already want to rest and sleep upon check-in, we need to change our sheets and pillow ourselves. Other than that, this hostel is highly recommended. It is okay for a few days if you are non-Japanese. But, if you are traveling slowly and can continue work online, I do not recommend staying here at all. Since it is not near many attractions, you will be judged by some Japanese people who stay here long time. As a gaijin who is staying here everything you do will be observed and gossiped about by the ignorant man who has been staying here long time. I requested from the staff if they could explain to the man that non-Japanese does not have to be or eat like Japanese and that he should not gossip about other guests. Especially, if like me, other guests may understand Japanese even if they cannot speak Japanese well. It is such an extremely disrespectful and rude behavior. 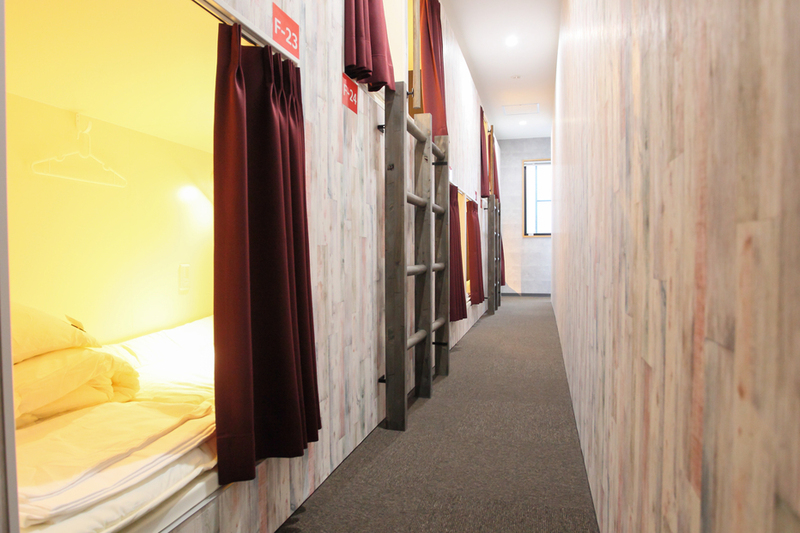 If this is a hostel that actually welcomes international travelers and foreigners, then it should educate the Japanese to be respectful of all guests and remind them that many foreigners can understand Japanese language.